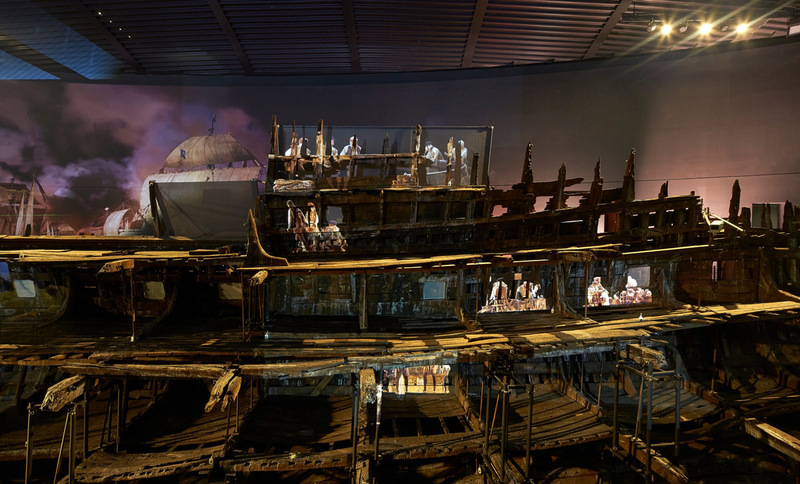 The Mary Rose underwent 34 years of conservation and a £5.4m revamp having been raised from the Solent in 1982. The museum can now be viewed through floor-to ceiling windows and an air- locked viewing balcony at the purpose built museum in Portsmouth Historic Dockyard. 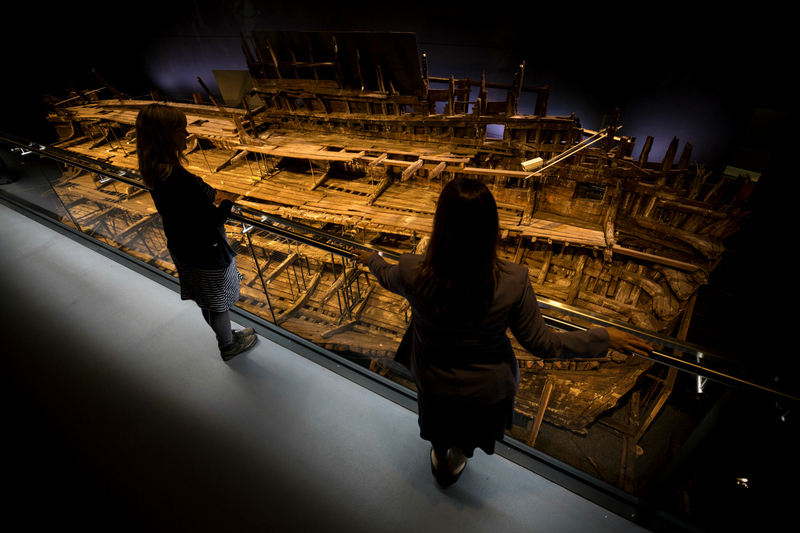 The new look museum now provides panoramic views of the ship from all nine galleries through floor to ceiling glazing on the lower and main decks. The creative team led by exhibition designers Real Studios were brought in to tell the story of the ship’s crew going about their daily routines both at war and peace. More than 60 short scenes were filmed and produced by Graham English and Co. and projection mapped by us into the relevant cabins on the ship’s hull, brought to life for the visitor at intervals throughout the day.